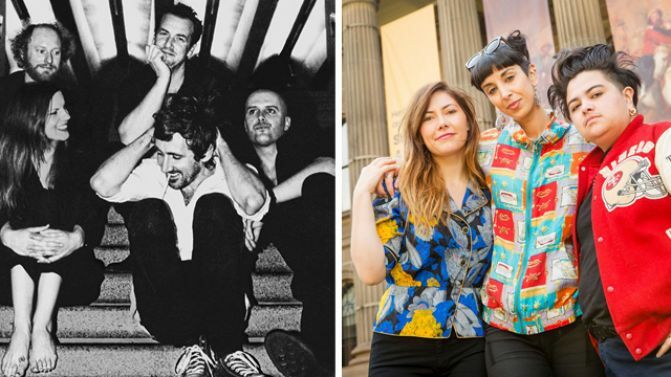 Melbourne Music Week has pulled back the sheet on this year’s festivities, revealing a world class lineup of headline acts and events that will go down at some of the cities’ most iconic locations including Melbourne Town Hall, The ‘G and Queens Hall. A small crowd of our nation’s finest female musicians will open the festivities with a discussion about their experiences in the biz under the banner of Her Sound, Her Story: A Celebration of Women in Music. A mix of new and established artists will be speaking including Airling, Elizabeth Rose and Ecca Vandal as well as Julia Stone and Ella Hooper. The discussion was inspired by the works of acclaimed photographer Michelle Grace Hunder and filmmaker Claudia Sangiorgi Dalimore who have previously collaborated by delving into the life and times of some of our most famous female artists. Come Saturday, Melbourne’s famed Town Hall will host a headline performance from The Drones who will pump out a career-spanning set, making full use of the venues Grand Organ. My Disco will be opening. Over at The G’, you’ll be able to get right amongst the historic venue as part of LOVE LIVE MUSIC which will be soundtracked by ya boys The Delta Riggs and Pierce Brothers. The full program for the weekend of enlightenment will be dropped on Tuesday, 4th October but, we dare say, it’s already looking well worth your cash. Feat. Julia Stone, Ella Hooper, Mama Kin, Montaigne, Mojo Juju, Ecca Vandal, Elizabeth Rose, Airling and Nyne. Featuring The Delta Riggs and Pierce Brothers.